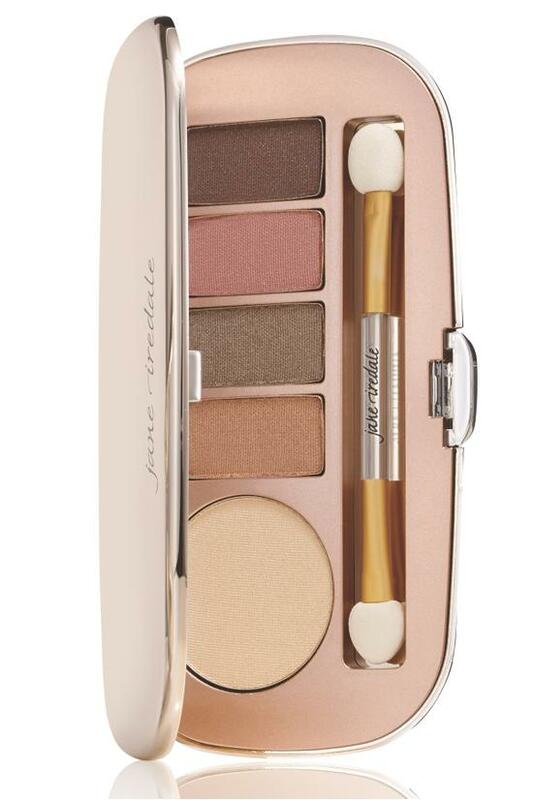 The new neutrals get a dose of glamour from a glimmer of shimmer in jane iredale's highly pigmented eyeshadow kit. Crease-free, stay-all-day formula is buildable to easily shift you from daytime natural to date-night drama. · Versatile warm hues flatter all skintones to take the guesswork out of finding the perfect eyeshadow shades - it's so easy to look fabulous! Apply with an eye shadow brush to eye lid, crease, brow bone and lash line to create a variety of looks.